Spotnails WS4840W6 wood flooring tool. Uses only Spotnails 4811PN 1-3/8" nylon coated staples to increase holding power. The tool is designed for most tongue and groove flooring and Valinge G2+ type locking systems sold by Robina, Ecotimber and many others. 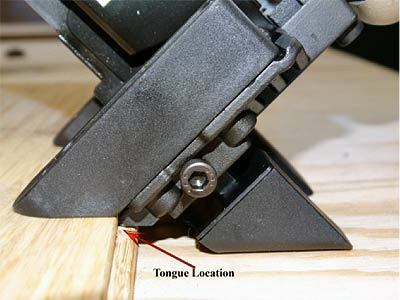 It places the staple at the base of the tongue to allow the locking system to still be maximized. Senco L, Duo Fast 1800 staples 1-3/8-inch leg. Nylon Coated Staples, 5,000/box.